The concept of a vehicle to provide troops with both mobile protection and firepower was not a new one. But in the First World War, the increasing availability of the internal combustion engine, armour plate and the continuous track, as well as the problem of trench warfare, combined to facilitate the production of the tank. 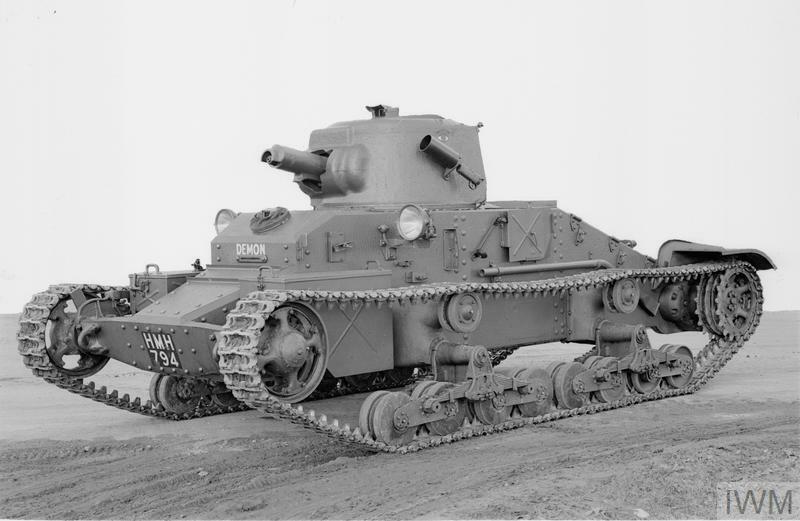 The name 'tank' came from British attempts to ensure the secrecy of the new weapons under the guise of water tanks. During the First World War, Britain began the serious development of the tank. Ironically, the Royal Navy led the way with the First Lord of the Admiralty, Winston Churchill, establishing the Landships Committee in early 1915. The military combined with engineers and industrialists and by early 1916 a prototype was adopted as the design of future tanks. 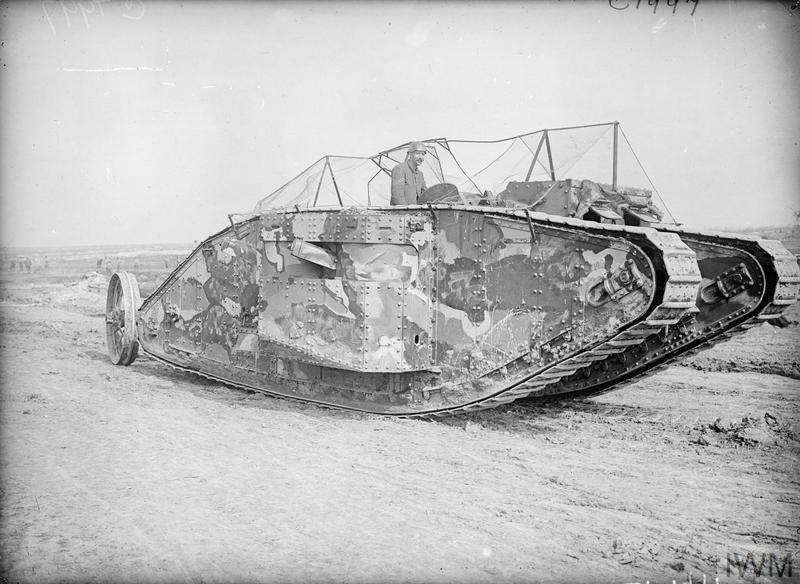 Britain used tanks in combat for the first time in the Battle of Flers-Courcelette on 15 September 1916. The first official photograph taken of a tank going into action, at the Battle of Flers-Courcelette on 15 September 1916. The tank is a Mark I, with a steering tail at the rear of the vehicle that disappeared in many later models. 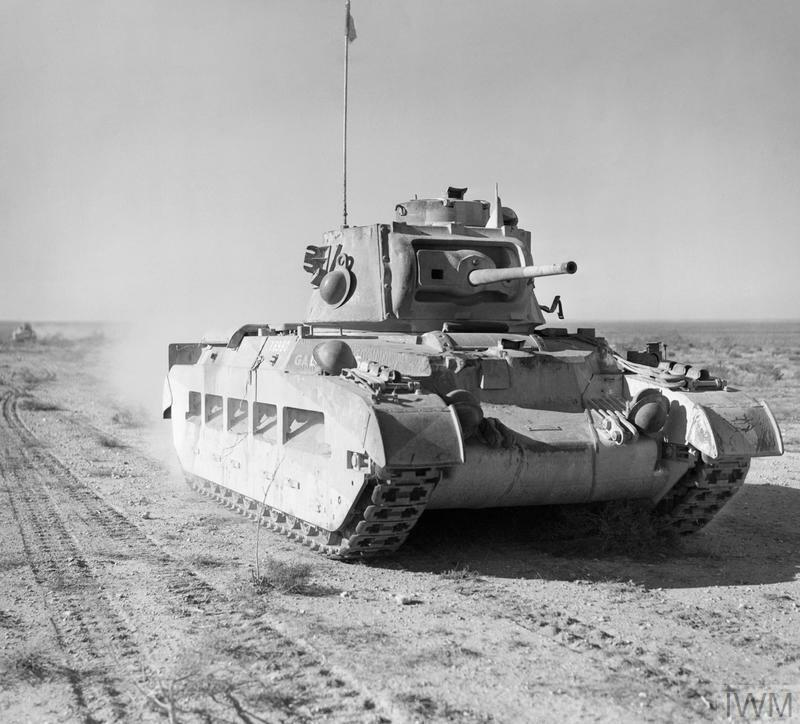 The early tanks were slow and unreliable, shown by the fact that of the 49 tanks deployed for the battle only 25 actually moved forward at the start of the attack. As production increased and reliability improved, they were used in greater numbers. By the summer of 1918 they were a common element of British fighting methods, with around 2,600 tanks manufactured. France began development in late 1915, eventually creating the Renault FT light tank. This was the first to use a fully rotating turret that contained the tank’s main armament - the basis of tank design ever since. Over 3,000 of these machines were made by late 1918. By contrast, Germany lagged behind. German forces often salvaged British and French tanks, both for research purposes and to use on the battlefield. Germany developed the A7V tank, but only 20 were produced. 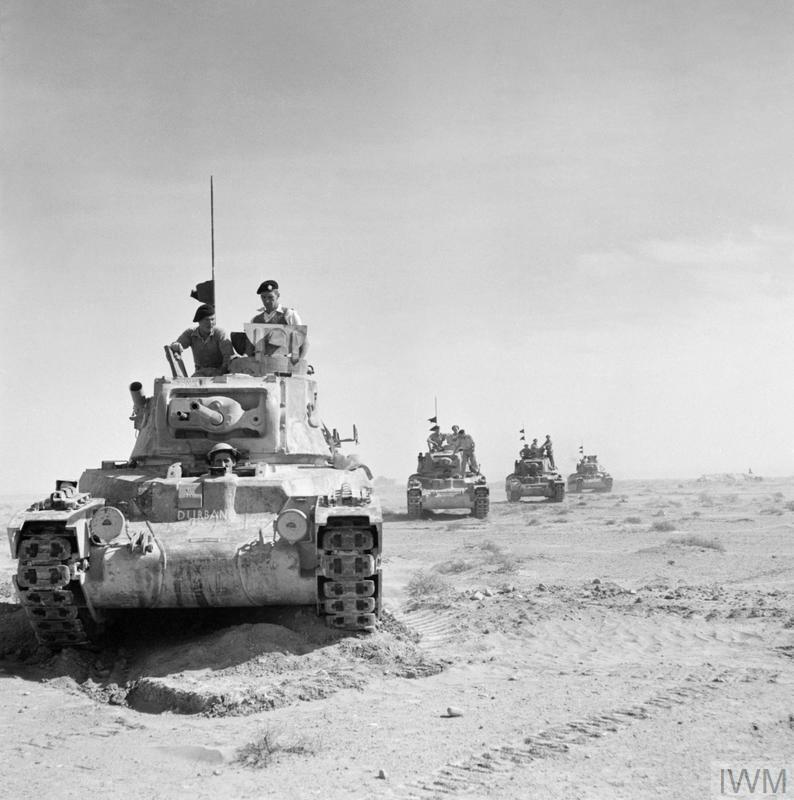 The open nature of warfare in North Africa accentuated the importance of armoured fighting vehicles and artillery. British tank design was governed by tactical principles which assigned slow but well-protected 'I' tanks to support the infantry, while speedy but lightly armoured Cruiser tanks fought the enemy armour. Britain had been first to use tanks on a mass scale during the First World War. But by the Second World War, it was German forces that had more fully integrated tanks into their fighting methods. Armoured warfare was to be a vital part of the fighting in the Second World War. For much of the Second World War, the British Army was saddled with a succession of tanks that ranged from the bad to the barely adequate. Some were rushed into service too quickly and proved notoriously unreliable. Others spent too long in development, or only achieved a degree of usefulness after numerous modifications. Most lacked the armour to resist enemy anti-tank weapons, and nearly all were under-gunned.